The president of a 100-member society receives word that the meeting place must be changed, and he needs to inform the rest of the members. He starts a telephone tree: He informs three members, each of whom informs another three members, and so on until all 100 members have received the news. Using this method, what is the greatest number of members who don’t have to make a call? Altogether, 4 + 9 + 20 = 33 members have to make calls, so 67 do not. But it’s easier to work backward. After the president has received the news, 99 members remain to be called. That will require 33 callers. From a Florentine manuscript, 1600. White to mate in two moves. Is it possible to pack six 1 × 2 × 2 blocks and three 1 × 1 × 1 blocks into a 3 × 3 × 3 box? The answer comes when we realize that the 1 × 1 × 1 blocks must occupy a diagonal of the box. 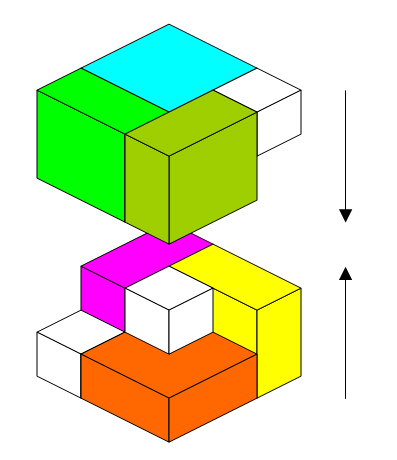 Each of the 9-cube layers, in every direction, contains an odd number of cubes, but each 1 × 2 × 2 block can fill only an even number of positions (2 or 4). So every layer must contain one 1 × 1 × 1 block. 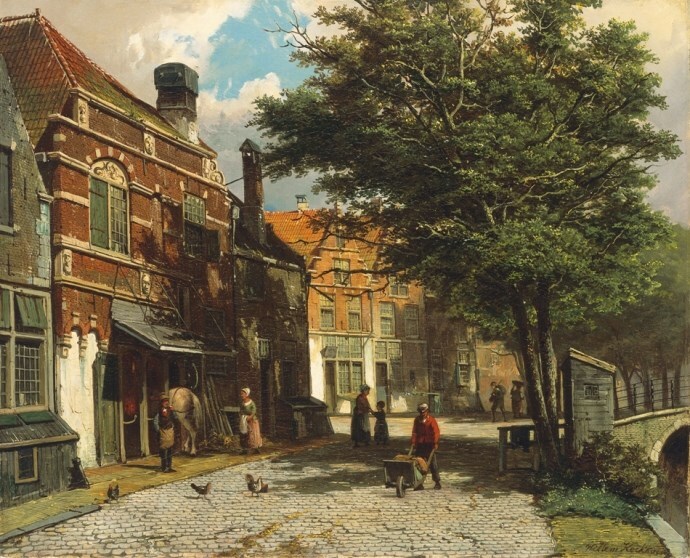 It’s called the Slothouber–Graatsma puzzle, after Dutch architects Jan Slothouber and William Graatsma. Princeton mathematician John Conway invented a more complex puzzle that also yields to an insight regarding parity. In the little hamlet of Abacinia, the people use two base systems. All the residents speak the truth, but each (naturally) expresses numbers in her own base. How many residents are there? Let the first resident speak base b. 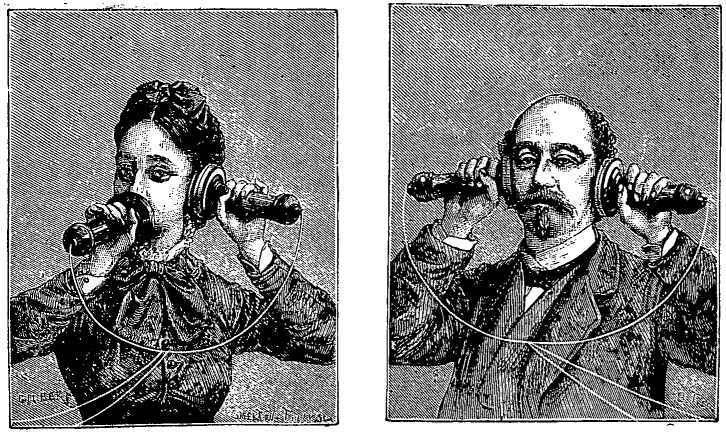 Then the second speaks base b + 4. By the second resident’s statement, then, the total population is 2(b + 4) + 5 = 2b + 13. And, according to the first speaker, the number of people who speak base b is 2b + 6 and the number who speak base b + 4 is 2b + 2. (2b + 6) + (2b + 2) + 1 – (b + 7) = 3b + 2. Setting this equal to 2b + 13, we conclude that the two bases are b = 11 and b + 4 = 15. So the total population (in base 10) is 35. Q. 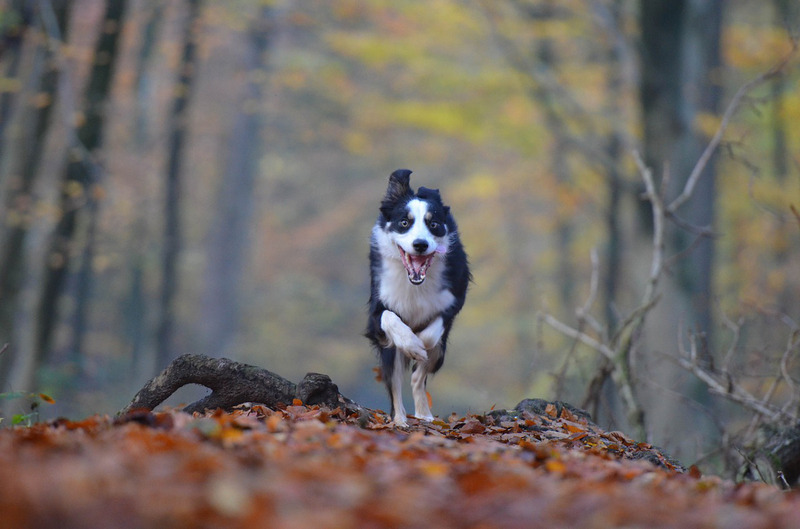 How far can a dog run into the woods? A. Halfway. The rest of the time he is running out. The correct answer is ‘All the way’. Certainly we understand that the dog is running ‘in’ only until he reaches the middle of the forest, but this is in fact, all the way in. If the dog ran only half ‘in’, he would not yet be at the middle. Indeed if the dog ran halfway in and then ran halfway out, he would still be in the woods. 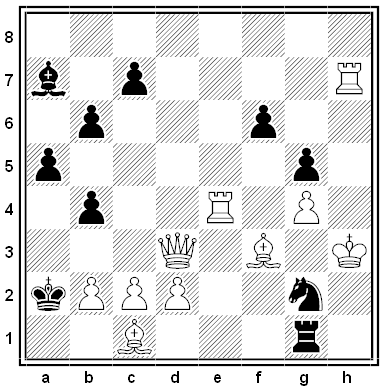 It’s not immediately clear how to release Black from his stalemate and still mate him on the next move. The solution is to promote the e7 pawn to a black king! Now it’s Black’s move — he has to play 1. 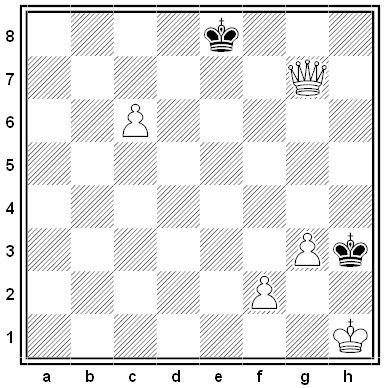 … Kd8, and White can mate both kings with 2. Qd7#! Facing dental surgery one day, mathematician Matt Parker asked Twitter for a math puzzle to distract him. A friend challenged him to put the digits 1-9 in order so that the first two digits formed a number that was a multiple of 2, the first three digits were a multiple of 3, and so on. Leaving the digits in the conventional order 1234356789 doesn’t work: 12 is divisible by 2 and 123 by 3, but 1234 isn’t evenly divisible by 4. “By the end of my dental procedure, I had some but not all of the digits worked out, but, apparently, you’re not allowed to stay in the dentist’s chair after they’re finished.” At home he finished working out the solution, which is unique. What is it? 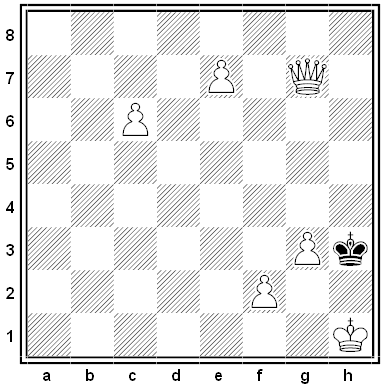 The key is to notice that the position is illegal: There’s no legal way for the black king to have arrived at a2. 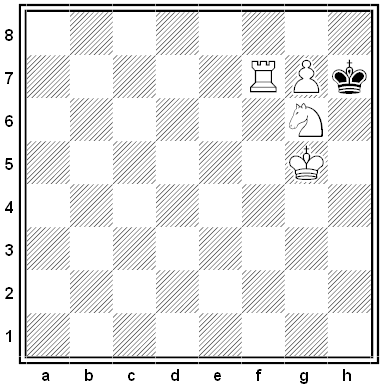 Black, desperate to avoid mate, must have put it there when White wasn’t looking. Where did it come from? 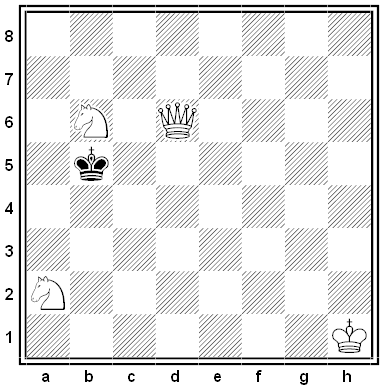 It doesn’t matter: White can place the black king on any legal square and mate in 1. 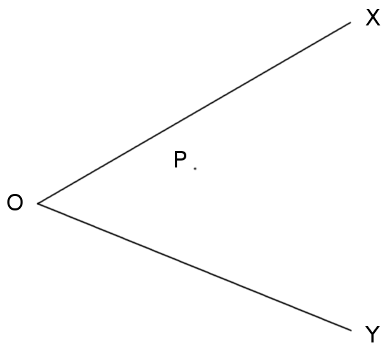 Point P lies within acute angle XOY. How can we find a point A on OX and a point B on OY such that P is the midpoint of a segment drawn between them? Draw OP and continue the line to Q so that OP = PQ. Then draw QA parallel to OY and QB parallel to OX, as shown. 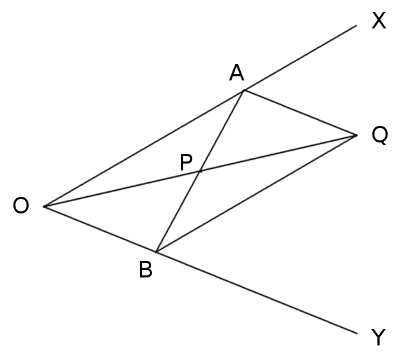 OAQB is a parallelogram, so its diagonals bisect one another, and thus P is the midpoint of AB. From Paul Sloane and Des MacHale’s Mathematical Lateral Thinking Puzzles, 2015. My lousy car has an odometer without 4s — in every position, the counter advances from 3 directly to 5. For example, when it read 000039 I drove one mile and watched it roll over to 000050. Today the odometer reads 002005. How many miles has the car actually traveled? 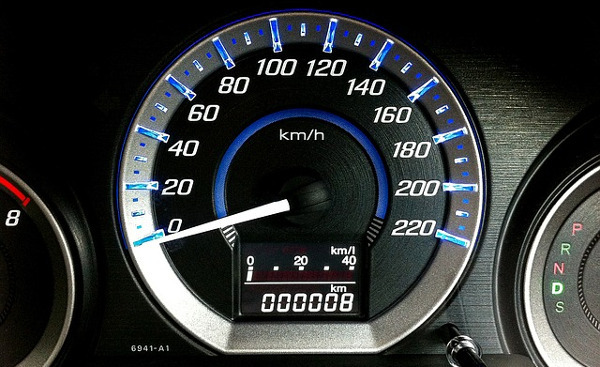 Because it’s using 9 digits, the odometer is recording the mileage in base 9, except that its digits 5, 6, 7, 8, and 9 represent the base-9 digits 4, 5, 6, 7, and 8. So the actual (base 10) mileage today is just 2004(9), or 2 × 93 + 4 = 2 × 729 + 4 = 1462.